The Super Skin is the perfect way to take a sponsorship to the next level. 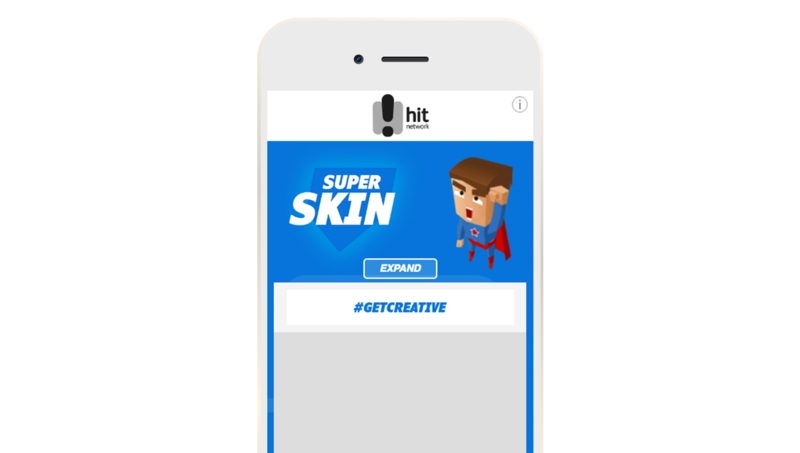 Designed to be the ‘skins’ for mobile, the Super Skin provides that extra screen real estate to get the full message across to the audience. Combined with a Mobile Leadeboard, the Super Skin can expand on user-initiation to provide full screen messaging. Browser/Device: iPhone: iOS 10+ / iPhone 5 and up. Safari and Chrome browsers. For clients building their own creative, click here for detailed specs and templates.